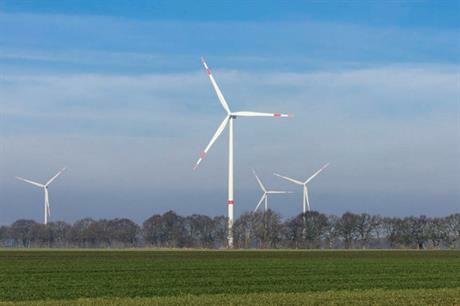 GERMANY: PNE made a net loss of €2 million in the first nine months of the year, down from a €16.3 million profit a year ago, as it prepares to develop and then sell a 200MW portfolio of wind farms. The developer’s sales halved year on year to €39.9 million, but the firm did not give a reason for this. PNE's earnings before interest, tax, depreciation and amortisation (Ebitda) of €10.6 million between 1 January and 30 September were down 62.4% year on year, while its Ebit of €3.7 million was down 84.3%. The developer said its earnings had been "impacted by preparations for project implementation as well as investments in the development" of its wind farm portfolio to 2020. PNE, which dropped 'Wind' from its name in June to reflect its diversifiaction, aims to establish a 200MW pipeline of German and French projects by 2020. This portfolio has accrued €20.9 million since 2017, including €8.5 million in 2018, of which €2.1 million came in the third quarter, according to the German firm. Its operating performance was also driven by two payments of around €4 million each for the Borkum Riffgrund 2 and Gode Wind 3 offshore projects it developed and sold to Danish developer Ørsted, as well as earnings from power generation growing nearly three-fold to €9.1 million. Overall, after the material, personnel and other costs in developing its portfolio, PNE made a net loss of €2 million in the first nine months of the year, down from a net profit of €16.3 million a year ago. It added that it expects to sell German and international projects, including the 200MW Chilocco wind farm in Oklahoma, US, in the fourth quarter. The developer forecasted a full-year Ebitda of between €20 million and €26 million and Ebit of between €10 million and €16 million. PNE said its 6.5MW Schlenzer wind farm in Brandenburg and 21.6MW Gerdau-Schwienau repowering project in Lower Saxony, both in Germany, were under construction. Both are part of its 2020 portfolio. PNE added it was in ongoing consultations with Ørsted and Vattenfall about offshore wind development, and also planned to explore new markets such as the US.